I have been following these daybook posts this Lent, written by Tamara Murphy, to help fully engage with the meaning of Lent and realize more and more my daily need for my Savior. 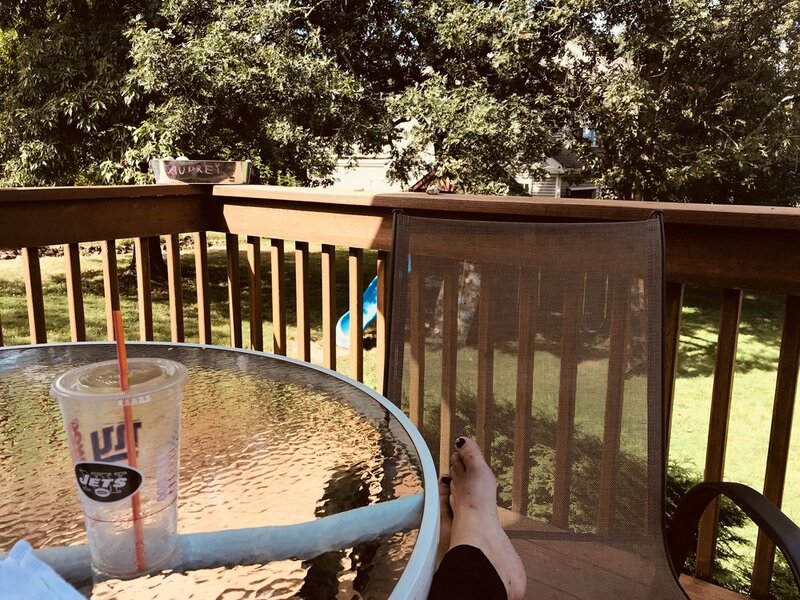 I appreciate my friend’s thoughtfulness in putting together these posts, where she includes “Look” (some sort of visual), “Listen” (a meaningful song), “Read” (Scripture), “Pray” (some form of special prayer), and “Do” (a task for the day/week). The first four are relatively easy and quick to finish. The “Do” section actually takes more time and sacrifice (😱). But when I committed to “fully engage”, I decided that had to include the “Do” section of the posts, as well. This has brought me on a journey that I did not expect: showing me God’s mercy when confronted with my sin and overwhelming guilt, and removing my usual coping mechanisms so all I can do is turn to Jesus. -I use social media “likes” as a form of laziness. I don’t want to comment about what I’m really thinking (“what a cute baby” or “I’ll be praying for you!”) so I just press “like” and move on. This past week, I had to be a lot more discerning. If I felt strongly enough to “like” something, I actually had to use the words! And being on the other side of posting, I know the words are actually a lot more meaningful than the number of “likes”. -Sometimes I use emojis as a form of laziness, too. And sometimes I don’t! Sometimes I spend a few agonizing minutes trying to find just the right symbol (or series of symbols) to express exactly what I am feeling and/or doing. But how is the other person supposed to know the difference? The only way for a person to know I’ve put thought into what I am saying is to actually write out the words. -I had to express my feelings more than I am usually comfortable with. There are a lot of people that I love, but it feels much less vulnerable to just say “❤️” than to say “I love you.” Usually that’s what I mean when I add a “❤️”, but for some reason, I feel like I’m giving over more of me when I have to say the words. -Text conversations last a lot longer! It’s just an easy way to end a conversation when you can jot off a quick “❤️😘”. That usually means “Love ya, bye” when you get that from me. But instead, I’d have to write: “I love you, friend. Hope you have a great day. I’ll see you tomorrow.” Etc etc etc. This actually led to some very sweet exchanges, but definitely not as convenient! I won’t be giving up emojis again any time soon, but I do think this helped me to realize how lazy I’ve become in my language. 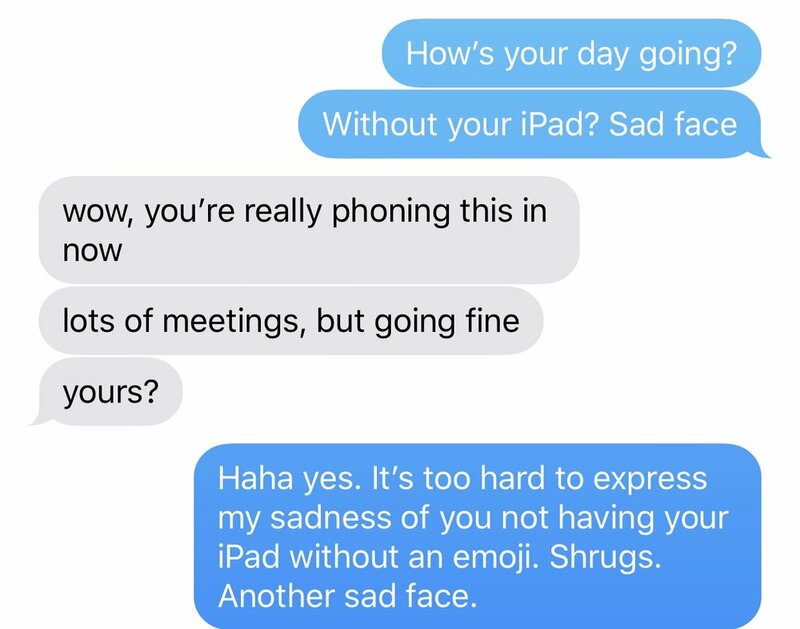 Emojis are fun and cute (and help to indicate joking when it’s hard to express that in texts!) but I want to make more of an effort to really tell people how I feel and show them the respect that they deserve. The photo above is an excerpt from the notes from my Bible study this past week, the words of which meant so much to me. We were studying the Parable of the Lost Sheep in Matthew 18:10-14 (which, coincidentally, is what I am basing my new children’s book on!) and discussing the great value that God puts on each one of His children. I have spent most of my life wishing I could do something big and bold for God, feeling like I could do more, and feeling restless in my current situation, which felt too small and insignificant. But the older I get, the more I realize the great value that God puts on the life lived faithfully that may feel “small”; that this calling of mine, though it sometimes feels small and insignificant, is beautiful and valuable to Him. We know that God’s economy is different than ours (the first shall be last, the least shall be greatest, etc. ), and what He values looks very different than what the world values (and even sometimes what we Christians value). But the life lived “small” is incredibly valuable to God. In fact, in this parable, the Shepherd leaves the many - the big flock, the service to many, or what could stand for a big project or large ministry - and goes in search of the ONE. I love the value God puts on the ONE. That means he values me, and you, and every baby, child, and adult. And even in addition to that, it means he values “the ministry of one” as my Bible study teacher said. It may feel small, but it isn’t to God. He’s calling us to be faithful, in the small and the big. And really, it usually is the small. It is clear that God can use the big - think Billy Graham - but most of us are called to live small lives, impacting the small circle of those around us. And that is beautiful, valuable, wonderful to God. So I thank you, God, that you see this small life of mine, that you value the ONE, that you see and value me when I can only serve ONE. Thank you that you come as a whisper (1 Kings 19:12). In this world of “the bigger, the better”, that is not what you value. When you were asked who is the greatest, you called forth a child (Matt. 18:1-2). You are bigger; you are better; and that is enough for us. And I thank you for being that for me, for valuing this small, but not insignificant, life of mine, and for giving me contentment in it. I pray that for you, too. Sunshine bright on colorful trees. Hats and mittens crocheted with love. Merry, peace, joy, and love. What is this “extra free time”? Does anyone ever have some extra? There’s always more stuff to do! Is it so wrong that I want to make reading a priority during the day? Absolutely not! Maybe other people have already realized that, but it was a rather freeing moment for me. 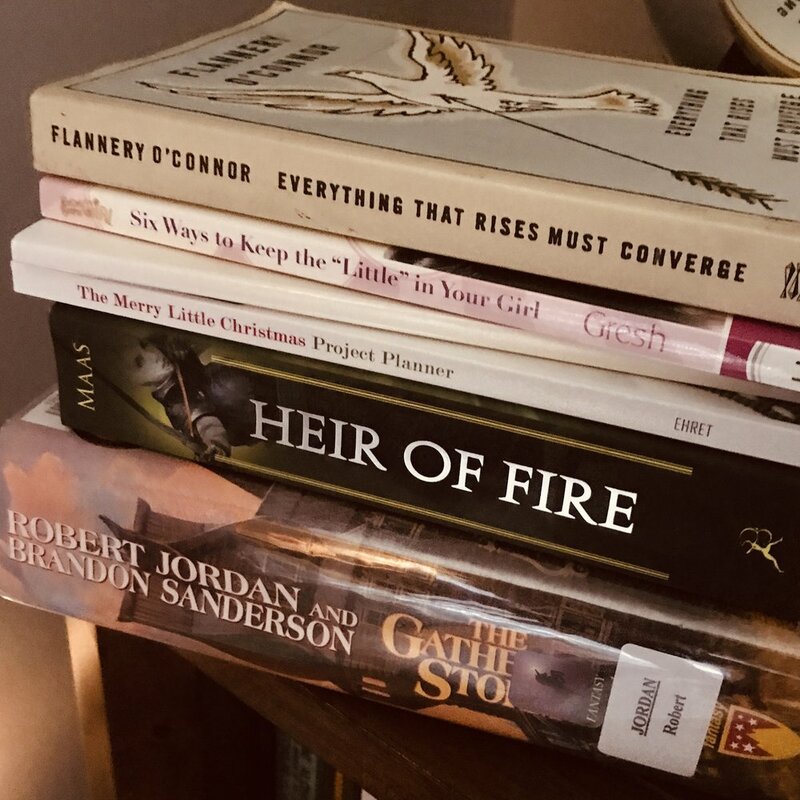 So I thought I’d post these Book Pile pictures occasionally to see how much the piles change with my new-found reading time. Please keep in mind that by listing these here, I am not necessarily recommending them! For my ratings and the occasional review, make sure to follow me on Goodreads. *By the way, instead of reading, I turned on the TV. You’d think they were equal trade-offs, with TV being the less desireable (intellectual) choice, but any multi-tasker knows TV is better than reading for “getting things done”. This is a paper I wrote in college, when I was more interested in politics. I was reading it today to help me remember September 11 - not that I need much help remembering that day - and the aftermath at the site and in our country. It is not very emotional because the premise is that “Politics is everywhere”. But it did help me to remember in a way I haven’t since those first few years. And ironically, I got a B+ on the paper with the comment “too dramatic”. A criticism of my writing that I will take any day. The story of American Ground by William Langewiesche is an account of the events following the World Trade Towers collapse at the actual site. But on another level, it is the story of the American nation at its birth. It is new territory, new land. People from different backgrounds and beliefs came and worked. Soon, it became self-governing, an organized political process where the people could work together in order accomplish their goals. It began with pure intentions, but soon, as in every self-interested society, there was conflict. People had their own ideas of what should be done, and formed groups that drew lines of dissent. Ground Zero was this new land, “a blank slate for the United States. Among the ruins now, an unscripted experiment in American life had gotten under way.” There was no authority or formal process. There was not even any understanding of what had really happened, or what had to be done. There was just a vague knowledge that nothing like this had happened before, and that “the problems that had to be solved were largely unprecedented.” People from all different backgrounds began to run to the site, wanting only to be of use. “The reaction… cut across the city’s class lines as New Yorkers of all backgrounds tried to respond.”People did whatever they thought would help - bucket brigades, digging, and putting out fires - but “for a few days the site was out of control.” With no structure, the site was anarchy and nothing of note was accomplished. Soon, however, “a crude management structure was agreed upon, and most of the volunteers were eased out to the ruins’ periphery, to be replaced at the core by a professional labor force….” Politics had entered the scene and provided a way to work towards a common goal. A hierarchy emerged, and with that, a plan for which the workers could undertake. People even began to use the language of politics, referring to the site as a “kingdom” or to a leader as a “czar.” Lines of disagreement soon came into view, and interest groups began to lobby for their own desires. And finally, a certain sense of ownership, almost pride toward the site, became the norm, similar to a feeling one might have towards their country. In the early days of the deconstruction efforts, anarchy reigned like the night. No one knew what was going on, how great the damages were, or even if they were making any difference. But soon, however, several individuals surfaced like rays of light, claiming authority where there was none, and beginning the political process. “Leading the effort was the unlikely duo of Kenneth Holden and his lieutenant, Michael Burton – the two Department of Design and Construction officials who had emerged from bureaucratic obscurity… to orchestrate an effective response to the disaster.” These two assumed authority, although they were never given it formally. As the author points out, “Burton had not the slightest authority here at the Trade Center site, but he was willing to assume it anyway.” He and Holden rose to the occasion and brought with them a plan for getting the job done. Other men, too, rose to the authority that they were never formally given. Sam Melisi, a fireman, had an “authority [that] translated into the power to make suggestions that others were willing to follow.” With his authority, as with Holden’s and Burton’s, came power that others listened to. People at the site soon began to use words that are frequently associated with politics. There was no escaping the political framework within which they worked and political words were what they had to use to describe it. Some referred to Mike Burton as the “Trade Center Czar”, illustrating his power and authoritative manner. The author describes the Port Authority as more of an “empire” than an organization, because of its vast territory around the city. Giuliani was angrily referred to as a “fascist”by the firemen’s union because they saw him as trying to lead an authoritarian government and not taking their views into consideration. The author even notes the political nature of the site, especially when he says to Burton: “It’s your kingdom, Mike. It’s your empire.” And even the pile itself became political, “the pile was the enemy, the objective, the obsession, the hard-won ground…” as if the workers were at war with it, or on it, or were fighting for it. In any political organization, there will always be people who have different interests. At Ground Zero, the deconstruction began to cause conflicts among these different groups. Timing was an issue, and every group wanted their say. The firemen, who seemed to be the most vocal interest group, began to demonstrate publicly in order to make their views known. The policemen were another interest group, having “tribal allegiances” as well and having “had lost twenty-three colleagues in the Trade Center collapse.”The Mayor’s Office was another interest group and Giuliani decided that “access would be restricted, new procedures would be imposed at the pile, and the number of searchers would be reduced by two-thirds.” This did not sit well with the firemen, who did not want to have their numbers reduced, and wanted to be able to search for those they had lost as slowly as they needed. Conflict arose between these interests and decisions had to be made as to how to keep them all content. Another interest group was comprised of the widows of the men who had died in the collapse. Like all the other groups, it was not representative of “the thousands of others who had lost family on September 11…” but these women had their own idea of what should be done. This conflict soon came to a head and those in charge realized that they would have to start running the operation in accordance with the views of others, not just their own. The pile soon became a home away from home for those that worked on it. They were there day and night causing a deep sense of ownership, almost pride in what was being done there. Several of the interest groups began to feel a “jealous sense of ownership… that ‘this is our disaster more than yours.’” They felt that this pile that they were working on was their land. In a strange way, this feeling was similar to what the rest of the country was feeling – this is our land, and we will not have others destroying it. The patriotism at the pile was a feeling of pride in their land. Politics is everywhere. It is an instrument, a tool, for progress. It provides a process and the authority to accomplish a goal. The story of the deconstruction of the World Trade Center Towers gives a picture, a visible symbol, of the effectiveness and ubiquitousness of politics. This abstract idea manifests itself in the work that is done there, through the hierarchy and structure that emerges, the language that is used, the various groups that lobby for their own interests, and even the patriotism and sense of ownership that is shown to the site. Without politics, the job would not have gotten done and the scramble of anarchy would continue to complicate matters. Politics is necessary, whether at a site of deconstruction or in the birth of a new country. I have officially moved from being a mom-of-young-kids to a mom-with-kids-in-school. This has brought out many feelings, as anyone who has made the transition will know. I have already written (but not yet posted) a super sappy and melodramatic post on the sad end of these feelings. But today, my first day of being at home with no kids, I want to write something happy. And what makes me happy? And what’s the best kind of list? A LIST of THINGS that make me HAPPY. Or more specifically: A list of all the fun stuff I can do in my free time that I could not do with kids around. I think I will make this an ongoing list. So when I find new and amazing things I can do without kids in tow, I will add to it. Like GROCERY SHOPPING and GOING TO THE CHIROPRACTOR!! Yay! 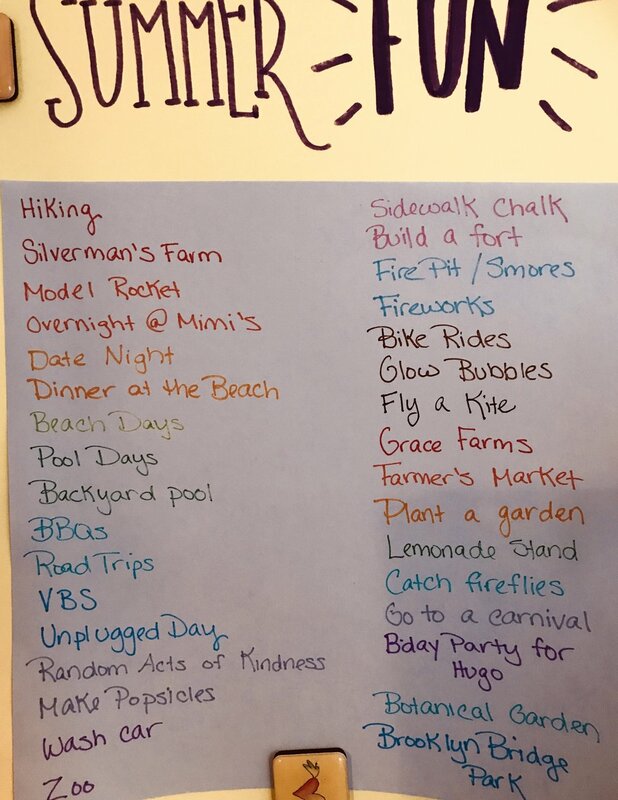 List of the Day (LotD): Summer Fun! My summer fun list is nothing new or extraordinary. It’s not too adventurous and won’t keep us too busy. We just like to spend a few minutes brainstorming a few things we’d really like to do (trips, a few places to visit) and then scatter those in with some other lazy summer activities! You’ll notice most of these are pretty low-key, with a few places to visit that are not huge tourist attractions (we don’t like crowds!). What’s missing from this list? After viewing this list for the first time, a friend said, “Why isn’t making lists on the list?” I think that’s an excellent point, because as we all know... lists are fun!! Last night I had a not-too-unusual experience that perfectly encapsulates what a friend has recently called “the weirdness of motherhood”. I had never thought about how weird motherhood was until I heard that phrase and since then I’ve been recognizing it in everything! At around 4am my son came to me crying about a spider in his bed. Agreeing with him that yes, that is indeed terrifying, but reassuring him that it was a dream, I encouraged him to go back to bed. (Actually it was more like “huh? Dream! Bed!”) But instead, he climbed into bed with us, and I was too tired to argue. What happened next is a perfect example of the weirdness of motherhood. Let me paint you a picture. Whatever stage of motherhood we are in, we want them gone and we want them back. We want snuggles and we want our own space. We want to hold them forever, but we are training them to leave. So I suppose in the end, we have to concentrate on the good stuff and roll with the bad. I’m thankful that my son kept me up last night and I could capture a beautiful sleeping boy picture. But I’m also thankful he doesn’t do that most nights. I guess that’s the key: being thankful whatever the circumstances. It’s been a while since I’ve published any fun lists, so today it’s all about TV! I looked for some questions that were more than just “favorite this or that” and it’s was so fun, I may have to do a sequel sometime. And since I love TV so much, I’d love to hear your answers in the comments or in your own blog post! What was the first TV show you remember loving? I Love Lucy. I knew every episode by heart; have Lucy dolls, trading cards, and books. And if you’re curious, my favorite episode was a little known one: the one where Lucy dances with Van Johnson and does it perfectly! 2. What was the last TV show you watched every episode of? 3. What was the last TV show you watched entirely online? 4. What was the last TV show you gave up on before it ended? 5. What's the one TV show you can always watch reruns of, no matter how many times you've seen them? 6. Who is your favorite late-night host, past or present? 7. What is your all-time favorite cartoon or animated series? Curious George, I guess? I don’t really watch adult cartoons so this is my favorite kid cartoon (non-movie). 8. What is your all-time favorite reality show? 9. What is your biggest guilty pleasure show? I’ve watched every episode of Desperate Housewives. A few times over. I figure this counts as my biggest guilty pleasure, because I’m embarrassed to admit it! 10. Who is your all-time favorite TV character? 11. What TV character can you most relate to? Katie on American Housewife, although I want to be like Leslie Knope: she can do anything! 12. What TV apartment/house would you choose to live in if money/location/logic made no difference? I can’t think of any because most are apartments in the city. Are there any that are big beach houses or castles in the middle of nowhere? 13. Who is your all-time biggest TV crush? 14. What is your all-time favorite TV theme song or opening sequence? Doctor Who, Stranger Things, Broadchurch, oh my goodness the list could go on full of British crime dramas! 17. What are your top three "TV blind spots"—the famous/seminal shows you’ve never seen? Breaking Bad, Game of Thrones (although I did watch season 1), any of these type shows that are just too intense/dark for me! 18. What TV show do you insist everyone you know should watch? 19. What show cancellation broke your heart? 20. What TV moment makes you cry every time? So below, you will find our reasons for liking any specific song or music as ranked by high, medium, or low importance. What would you rank the highest? What would you rank the lowest? Are we missing anything from this list? In February, I participated in a Lettering Challenge on Instagram about my favorites in all different categories. Here are the categories and I’ll let you figure out their matches! Now it’s your turn! Leave your favorites in the comments. “Boys are braver than girls,” my daughter announced one afternoon. I don’t remember what I was doing, but I know my head snapped up, ready for a fight! Now, I am not a hard-core feminist but I will fight for my gender when necessary, especially when it comes to my daughter. “They just like to climb high and jump off things and touch bugs and stuff like that,” she said. “And that makes them braver?” I asked. Again, I was super-cool about it. I could see her logic, because it seems to me it’s the logic that most people use when describing brave: If I’m too afraid of something, and you do it, then you must be braver than me. But I’m here to say FALSE. Being brave is highly subjective. What is brave for one person might not be brave for another! The hard part about being brave is facing our fears. There is no brave without some kind of fear. Brave is speaking up when you are terrified to speak in public. Brave is telling your story even when you feel embarrassed by it. Brave is continuing to love someone who has hurt you in the past and you are worried it will happen again. Brave is breaking up with someone who is wrong for you, even though you’re afraid of being alone. Brave is opening your home to strangers, even though you fear the unknown. I don’t want to take away from people who speak in public and are not terrified, who tell their story and are not embarrassed, who love someone else but have never been hurt by them, who break up with the wrong person for them but don’t fear loneliness, who are hospitable to strangers but are not worried about what they will bring. Those are all good things. They just are not brave. Brave does not come easy, so let’s not water down its meaning by crediting it to those people who do not have the accompanying fear. So as I looked at my daughter that afternoon, I wanted to explain all this to her and somehow show her that sometimes her mom can even be brave! But there’s a problem: in order to reveal the brave, I also have to reveal the fear and insecurity behind the brave. And that’s the hard part. 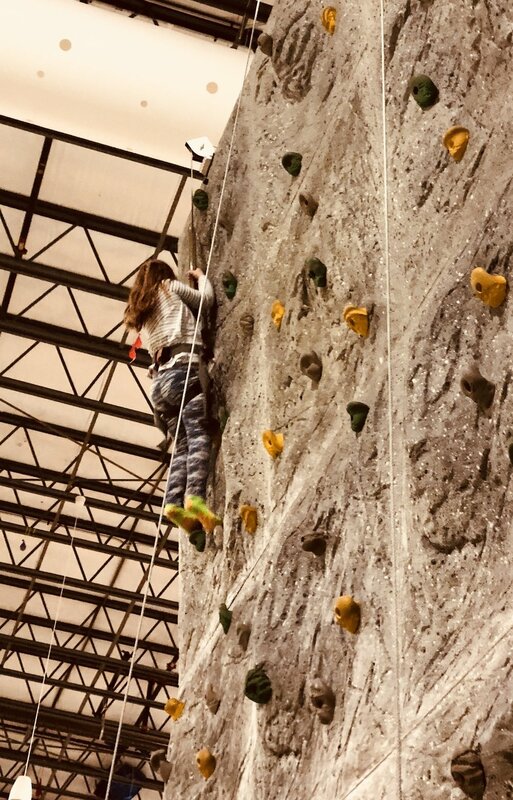 How do I show my daughter that I am afraid but I am doing it anyway, without also passing on that fear to her? As I think about the brave people that I know and want to emulate, I am struck by the fact that the people who are bravest are also the people who have been the most fearful and have had to overcome it. So we just take each moment as it comes, each little act of bravery. And take advantage of these times when we can just talk - and I can just listen without going on a diatribe. And we left it at that. For now. My husband and I both love music, and yet even after over 10 years, we can never agree on what to listen to! Finally, on a recent road trip, we were able to pinpoint why: there are actually a lot of reasons to love or appreciate music (or a specific song), we just don’t agree each reason’s level of importance. After this discovery, we endeavored to make a list of all these reasons (below, in no particular order), and for next week’s LotD, we will rank them and compare, so you have something to look forward to! Once you’ve seen the list, go and listen to your favorite song. What are the reasons you like it? And are they among those listed below? If not, let us know so we can make sure this is a complete list. I’ve decided that Wednesdays will be list days, just for a little bit of mid-week fun (what is more fun than a list?). So today’s LotD is ranking Pixar movies! I don’t know about you, but this is a frequent topic of conversation in our house (cuz, you know, the important things). So below you will find all 18 movies* ranked by my husband and I. As you will see, we don’t seem to have the same taste at all! 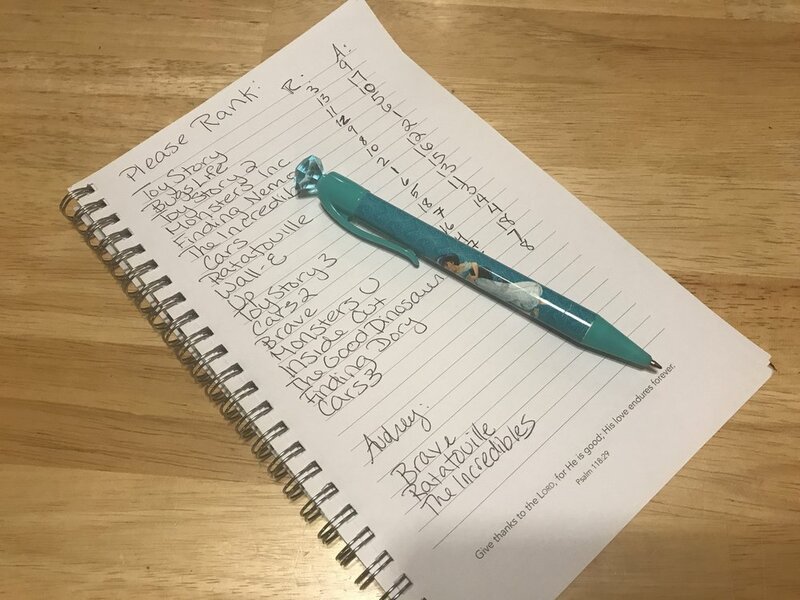 Once you’ve seen the lists, leave a comment with your top choice, top three, or if you’re feeling ambitious (or just bored), leave your whole list and we’ll see how they compare! I’m happy to engage in a friendly debate about why my list is correct. *We haven’t seen Coco yet, so this list could change once we do! This post begins a series of monthly posts to both fulfill my resolution of posting monthly, as well as serving as a writing exercise. This is an epic fantasy series of 14 books, each about 1000 pages. But this book has been a low point and I’ve been “in the middle of it” for almost a year. I love this series and am totally invested in finishing it at this point, though! I’ll be honest, at this point in the series, I am listening on Audible and let myself fall asleep to it every night. I don’t miss much in this slow-moving book, but it’s sweet enough to make me think happy thoughts as I drift off to dreamland! The devotional I’m currently using. Very brief devotions based on a few verses in the Psalms. I wish each one were more in depth, but conversely, I picked it because they are short enough for me to actually get done every day! I’m embarrassed to admit this is not my first time re-watching the series. But it’s like comfort food to me, and I can work/crochet/fold laundry while it’s on in the background. This is a show that I can watch with Ryan. He likes the history. I like the clothes. Win-win. Another show to watch with Ryan. Usually he doesn’t like sitcoms (and they are my bread and butter) but at this one, we both literally LOL. It’s that time of year when I’m winding down with the hats and looking for other crochet projects. Tiny crochet hearts take so little time to make and I just love to put them everywhere! I usually try to include a handmade item for my children’s birthdays, and since their birthdays are only two weeks apart, this keeps me pretty busy in January. I am finishing a train flannel blanket for my 3yo son, and a My Little Pony pillow for my 6yo daughter. We are all broken, even if we think we have it all together. Sometimes I am horrified and embarrassed by my brokenness. Sometimes I’m proud of myself because I think I have it all together. But really I should be embarrassed when I think I have it all together, because it’s much better when I remember I’m broken. Being broken is beautiful: it’s when God can really shine through. I wish I could put what I’m learning into a simple bullet point that completely defines exactly what I’m thinking, but really it’s more of an amorphous blur of thoughts that keep changing. I guess that’s why I’m doing this exercise. Finish editing my next children’s story. She worried it would not inspire. And the honesty that it would require. With stories so moving and fierce. Still she worried with eyes full of tears. Why should I tell my story? She pleaded. What does it have to add? A story, not moving or sad. And all that He’d brought them through. The One who directs the plot. Was she the one who guided her story? And then she realized, she was not. To play His beautiful song. She just had to sing along. Because it wasn’t her story, after all. I didn’t grow up texting, but I feel like it was invented just for me. I remember sending my first text in college and feeling guilty because I knew I just cost my friend 50 cents. But since then, as the popularity of texting grew, so has my affinity for it. I usually claim that if you call me, I will text you back (which is a problem when someone calls from a landline!). I will pin memes to my “so me” Pinterest board that say, “I’d appreciate if you’d stop calling me, but I’d probably respond if you decide to text instead.” It’s all just funny, and mostly tongue-in-cheek. And yes, occasionally, if I love you and know you love the phone, I will give you a call. But texting just suits me and all my introvert needs! The text message takes a lot of flack, however. I’ve heard complaints about how kids never look at each other in the eyes, or never enjoy the present, because they are always texting someone else! I’ve heard that it is leading to the destruction of language and proper grammar, because no one cares about those thing when writing a text. I think these arguments have merit, but like most things in life, a balance must be sought. Text messaging is just a tool, and as with any tool, it’s how we use them that matters. I’m in a stage of life that is mostly dictated by my children’s schedules. And even for an introvert with some hermit-tendencies, it can get a little lonely! Even though I enjoy the occasional coffee and play dates with friends, I don’t need people around me all the time, or even that often. I don’t need endless phone conversations or a packed-full schedule. But I do need to know that I’m not alone, that I’m not forgotten, even as I putter around the house with only my three-year-old as company. I need to know that I matter to someone in the outside world and that they are thinking of me. And then I get a text from someone saying hi and checking in or asking for a play date. Or maybe it’s just an informational text or a question about something, but it feels like a lifeline to an outside world that I may not need to be in all the time, but definitely want to know that I am a part of. So every once in a while, I take the time to just send out texts. 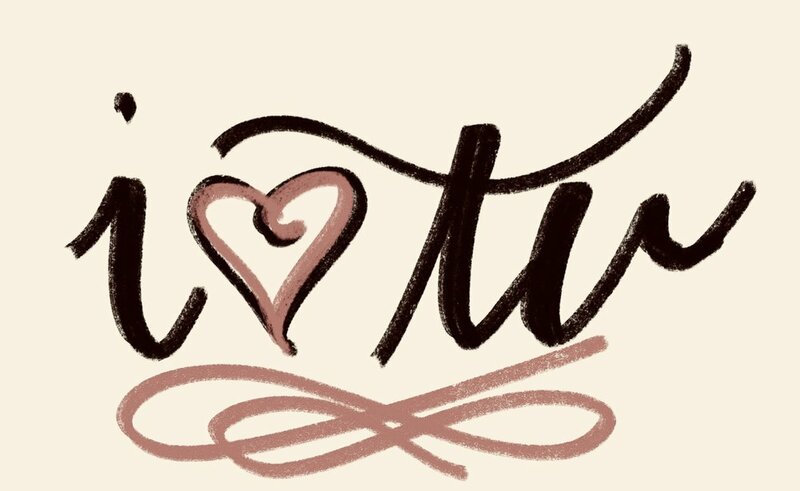 Sometimes it’s just to one person who has come to my mind, and I want them to know I am thinking about them and love them. Sometimes I send out several. Because isn’t that what we all want, whether introvert or extrovert, whether texter or caller: don’t we just want to know that we aren’t alone, that we aren’t forgotten, that we matter to someone, and that they are thinking of us? So if you get a text from me, whether just a random hi, asking a question, or giving you some sort of information, let it be a reminder to you that you are not alone. You are remembered and matter to me and I’m thinking of you. Because I am sitting alone at home or in my car, and after all, texting is my love language.